Tourism numbers are down in Thailand in 2015 slipping more than 8% on the previous years. The 2014 tourism earnings shows also that Thailand dropped to ninth from seventh a year ago with figures provided by the UN World Tourism Organization (UNWTO). If you are going to visit Thailand then ensure that you have a tourist visa or a marriage visa if you have family in Thailand. The Thai government by way of The Tourism Authority of Thailand has stated that the political stand-off in the early part of 2014 coupled with the May 22 coup adding in the sluggish Thai economy had affected these numbers. Russian, Japanese and European tourist make the bulk of the tourism numbers and with the Russian currency crisis this has also added to the problems. There have been a number of reports over the past year that the number or Russians who had retired in Pattaya had put their condo units up for sale. 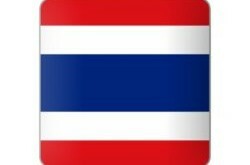 Its s till going to be a tough year for Thai tourist numbers. The bomb in Samui in March this year (2015) in a parking lot at Central Festival did not help much either. With more than 20,000 tourists in Samui in March for the Thai New Year or Songkran it appears that not many people saw this explosion as a bad omen as there had been no hotel cancellations. To boost numbers and the industry the government cut taxes in the tourism industry until the end of 2015 in order to ride out the storm. This was mainly on domestic tour packages and hotel accommodation. There has however been a massive jump of more than 30% of Thai’s who visit Japan. Tourism numbers of local Thai’s visiting Japan topped more than 181,000 visitors in the first 3 months of 2015. 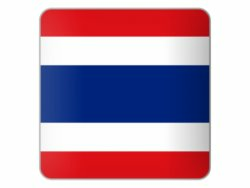 You can contact the Thai Embassy in Tokyo for more information about the visa application process and other information.